Did Race or Class Doom Hillary Clinton? The Hillary Clinton campaign has reportedly told its donors, staffers, and surrogates that the Democratic nominee was beaten not by Donald Trump, but by FBI Director James Comey. The timing of her slide in the polls came after Comey made a vague and unprecedented announcement that “new” e-mails (they turned out to be duplicates) relating to the investigation into her handling of classified information had been found on Anthony Weiner’s laptop. Voters who made their choice in the last week went overwhelmingly for Trump. At least three other pollsters I’m aware of have found a decline in white unmarried women’s support of Democrats (their numbers aren’t public yet), though none have seen as stark a drop as in as Democracy Corps poll. Geoff Garin, who polls for Priorities USA and Planned Parenthood, in fact saw the opposite: He found that Clinton did slightly better than Obama with unmarried women, 58–37, while slightly underperforming with married women. But Garin likewise cautions against drawing big conclusions from small samples: His firm polled 200 women voters on one night; Democracy Corps polled election eve, Election Day, and the day after, and included one and a half times the number of white women as Garin. Either way, Garin agrees with Zdunkewicz that whatever the ultimate result for white unmarried women, there’s evidence that Clinton’s economic message didn’t resonate—with many groups. Indeed, white working-class women are another group that gave Obama a chance in 2008 and 2012; he lost, but more narrowly than other Democrats had with this group: by only 6 points in 2008 and 19 points in 2012, and much better than with their male counterparts. Democracy Corps found that Clinton lost this group by 26 points this time around. Yet Zdunkewicz notes that Clinton was neck and neck with Trump in their polling with these women at the end of October, trailing but only 43–39. What changed? “When she was talking about the economy, she did well with this group; when she stopped, she lost a lot of them,” Zdunkewicz said. But at the campaign’s end, Clinton’s closing message was less punchy, more dreamy. In one of her final ads, Greenberg pointed out on a conference call, she asks: “Is America dark and divisive? Or hopeful and inclusive? Our core values are being tested in this election. But everywhere I go people are refusing to be defined by fear and division.” She offered no specifics about her economic plans in that particular ad. Likewise, President Obama mainly stressed inclusion and tolerance in his final appeals, as well as the importance of protecting his legacy and finishing his work. His closing pitch involved highlighting the very real progress his administration made—but it was progress that perhaps didn’t resonate with voters who are still suffering economically. But Clinton proposed to significantly hike the minimum wage, provide universal preschool, and vastly expand subsidized child care and other supports; policies that would have helped those women more than anything Trump’s policies will provide. Unfortunately, Democracy Corps found that Clinton’s very real progressive economic proposals just generally didn’t cut through the campaign noise. 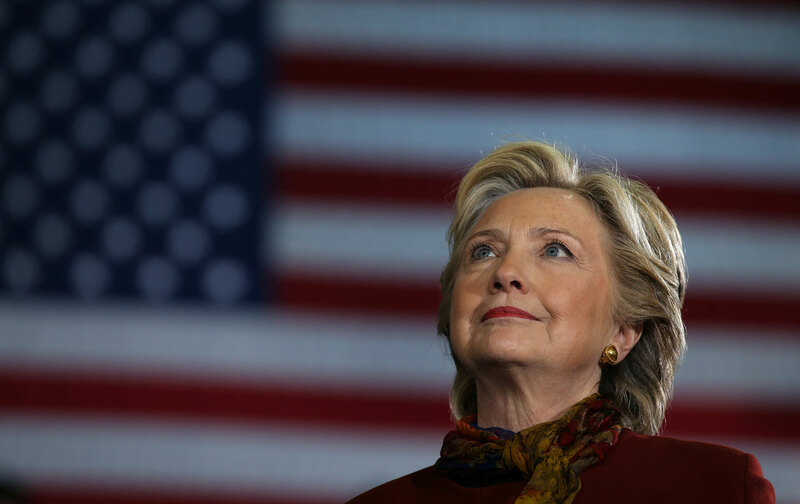 Among voters who did choose Clinton, the poll found, most did so because she had the right temperament, valued the country’s diversity, supported equal rights for women, and would be a strong commander in chief. Comparatively few cited her economic appeals. By contrast, Trump voters say they chose him because he was a successful businessman who would create jobs, cut taxes, and regulations to grow the economy, and repeal Obamacare—mainly economic issues. And when polled on which Clinton proposals they knew about, voters were most likely to know about her plans to tax the rich and make college debt-free. One-third didn’t know about her infrastructure plan, and 45 percent didn’t know about her plans to protect and strengthen financial regulation. Returning to the concerns of white unmarried women, the surprising defectors identified in this poll, anyway, a few more findings jumped out. Given a choice between explaining Trump as someone who spoke for working-class Americans who were “rightly frustrated,” vs. someone who “appealed to racial resentments more than working class problems,” those women overwhelmingly chose the first explanation, as did white non-college-educated women. Minorities and Clinton voters overwhelmingly chose the second one, believing racial resentments mattered more. It’s certainly worrisome that Clinton’s economic appeal, and her concerns about working-class voters (of every race) didn’t come through. But there are a few obstacles to saying that if Clinton had simply preached her economic agenda louder, she’d have won over the white unmarried or working-class women who strayed from the Democratic coalition. When we look at the economic argument that Trump voters heard, as found in the Democracy Corps poll, it wasn’t mainly populist; in fact, cutting taxes, regulations, and Obamacare are explicitly the opposite. So it’s hard to argue that she might have lured a lot of Trump voters even with a louder progressive economic appeal. On the question of the defection of white unmarried and, to a lesser extent, working-class women: Note that unmarried and working-class women of color most certainly did not drift to Trump this time around. Why did some of their white sisters go that way? We can’t leave race out of the equation. We know that the leading predictor of a vote for Trump is that a voter scores high on questions of racial resentment, such as denying that whites have advantages because of the color of their skin, or believing that black people are violent or lazy. In Trump, they finally got a candidate who spoke to the racial and gender resentments many of them feel. We have to face up to the fact that this is the first election in which many white voters voted as white people. That’s got to include white women too. Another predictor of Trump support is gender bias: believing that women are exaggerating the discrimination they still face, or trying to use their power to get ahead of men, not pull equal. I’ve seen no polling of women alone on that question explicitly. It’s possible they’ve internalized misogyny; we all do. But it may be that struggling white women weren’t moved by complaints about Trump’s sexism; they’ve learned to deal with it. Acknowledging that is not the same thing as the Tina Brown argument: that “liberal feminists” never should have made it a big issue. The truth is the truth, even if economically struggling women may lack the time or energy to discern it, or have bigger problems to worry about. But the muting of Clinton’s economic message matters, because it might have depressed turnout among members of the Obama coalition. Black voters ticked down from 13 to 12 percent of the electorate, while the Hispanic vote only rose from 10 to 11 percent, much less than expected. And while she won the Obama coalition overwhelmingly, her margin was down with millennials, African Americans, and Hispanics. The media should be taking at least some of the blame for Clinton’s message not getting through, given the fact that they covered her e-mail controversy more than any policy. Nightly news shows gave it three times the attention it gave to policy issues, And in the week after the outrageous Comey letter, newspapers gave that story alone twice as much coverage as any Trump story in the closing week. Now, the media is bogged down with people tediously arguing whether the Democrats need to chase the votes of white non-college-educated voters, given Clinton’s historic loss with them, or shore up support with the Obama coalition—with way too much angst, in my opinion, going to the white-working class, especially given the suffering in store for women and people of color given Trump’s agenda. But if this Democracy Corps poll is right, Democrats may not have to choose between them. A strong progressive economic appeal that cuts through the predictable campaign din ought to appeal to enough of both groups to pull off a win in 2020. In fact, the poll found strong support for the progressive agenda promoted by the Roosevelt Institute: Strong majorities of every group—including Trump voters—backed a massive investment in infrastructure (broadly defined; not just roads and bridges), investing in underserved communities, reforming markets, reorganizing our approach to trade, and overhauling corporate governance. Still, now I have one more reason to wish James Comey had never sent his outrageous, ill-considered letter: The fact that these poll findings focus on the very same time period as Comey’s intervention makes it very hard to say the drop in her support was about her vague Kumbaya closing pitch, and not Comey. But either way, from a progressive point of view, the Roosevelt Institute’s recommendations are the right agenda for next time around.